"SH-3" redirects here. For other uses, see SH3 (disambiguation). The Sikorsky SH-3 Sea King (company designation S-61) is an American twin-engined anti-submarine warfare (ASW) helicopter designed and built by Sikorsky Aircraft. A landmark design, it was the world's first amphibious helicopter and one of the first ASW rotorcraft to use turboshaft engines. Introduced to service in 1961, it was operated by the United States Navy as a key ASW and utility asset for several decades prior to being replaced by the non-amphibious Sikorsky SH-60 Seahawk in the 1990s. In late 1961 and early 1962, a modified U.S. Navy HSS-2 Sea King was used to break the FAI 3 km, 100 km, 500 km and 1000 km helicopter speed records. The Sea King also performed various other roles and missions such as search-and-rescue, transport, anti-shipping, medevac, plane guard, and airborne early warning operations. Several Sea Kings, operated by the United States Marine Corps's HMX-1 unit, are used as the official helicopters of the President of the United States, for which the call sign 'Marine One' would be used. The Sea King has also proved to be popular on the export market with foreign military customers, and has also been sold to civil operators as well. As of 2015, many examples of the type remain in service in nations around the world. The Sea King has been built under license by Agusta in Italy, Mitsubishi in Japan, and by Westland in the United Kingdom as the Westland Sea King. The major civil versions are the S-61L and S-61N. During the Cold War, the Soviet Navy built up a large and varied fleet of submarines which at one point was in excess of 200 operational submarines. The US Navy decided to counter this threat by the improvement and development of various anti-submarine warfare (ASW) capabilities, which would result in the development of the Sea King. During the late 1950s, the US Navy was keen to take advantage of newly made progress upon turboshaft engines by commissioning a sizable navalised helicopter for their purposes. Sikorsky received a request from the US Navy to design a new turbine-powered helicopter capable of performing the ASW mission; the specification provided included a dipping sonar, a mission endurance of four hours, and the ability to support a weapons load of 840 lb. In 1957, Sikorsky was awarded a contract to produce an all-weather amphibious helicopter for the U.S. Navy. As per the earlier specification, this new helicopter was to excel at ASW; in particular, it would combine the roles of hunter and killer, as these duties had previously been carried out by two separate helicopters. 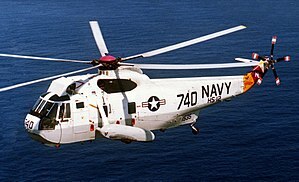 It was also the first helicopter to be procured under the US Navy's new weapon system concept, under which Sikorsky was responsible not only for the design and production of the airframe itself but all of the major onboard systems, such as the sonar, navigational equipment, electronic devices, and support equipment. As such, the navigation suite for the rotorcraft was developed jointly by Sikorsky and the US Navy. Key features of the emerging ASW helicopter would include its amphibious hull, enabling the rotorcraft to readily perform water landings, and the adoption of a twin-turboshaft engine arrangement that enabled a larger, heavier and better-equipped aircraft than had been possible with prior helicopters. The designation HSS-2 was applied to imply a level of commonality to the earlier HSS-1, should political sentiment turn against the development of an entirely new rotorcraft. A total of ten prototypes were produced to support the development program. In March 1959, the first prototype conducted its maiden flight. 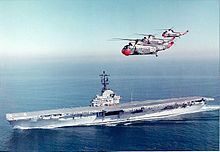 In early 1961, a pair of prototypes were stationed on board the aircraft carrier Lake Champlain to fulfill a demand for carrier suitability trials to be conducted; these trials, which had involved testing the folding mechanism of the main rotor blades and a series of takeoffs performed during winds of up to 50 MPH, were completed successfully in mid-1961. Shortly after the competition of suitability trials, the US Navy formally accepted delivery of the first HSS-2 rotorcraft, which would be subsequently re-designated as the SH-3A, in September 1961. Upon entering service, it was not only the largest amphibious helicopter in the world, but also held the distinction of being the first all-weather rotorcraft to reach production status for the US Navy. In late 1961 and early 1962, a modified U.S. Navy HSS-2 Sea King was used to break the FAI 3 km, 100 km, 500 km and 1000 km helicopter speed records. This series of flights culminated on 5 February 1962 with the HSS-2 setting an absolute helicopter speed record of 210.6 mph. This record was broken by a modified French Sud-Aviation Super Frelon helicopter on 23 July 1963 with a speed of 217.7 mph. The base design of the Sea King had proved sound and several aspects were judged to be potentially useful for other operators, thus Sikorsky elected to pursue the further development of the Sea King for other markets beyond the US Navy. One of the major variants of the Sea King to be produced was a model for civil operators, which was designated as the Sikorsky S-61L. The first operator of the S-61L was Los Angeles Airways, who introduced the type to service on 11 March 1962. Another noteworthy Sea King variant, the significant change this time being the adoption of a conventional hull, the Sikorsky S-61R, was also concurrently developed for transport and search and rescue (SAR) duties, this type being extensively operated by the U.S. Air Force and the U.S. Coast Guard. In US Navy service, the initial SH-3A model of the Sea King would be progressively converted into the improved SH-3D and SH-3H variants; these featured more powerful engines and improved sensors that gave the type greater operational capabilities as an ASW platform. It was also common for Sea Kings to be converted for non-ASW activities, these roles included minesweeping, combat search and rescue, and as a cargo/passenger utility transport. The aircrew on ASW-tasked Sea Kings were routinely trained to carry out these secondary roles as aircraft could often be quickly adapted to perform different missions in the face of operational needs. The Royal Canadian Navy (RCN) became a major operator of the type (see Sikorsky CH-124 Sea King), the Sea King continues to operate as Canada's dominant maritime helicopter 50 years following its introduction to service in 1963. One notable innovation in Canadian operations, which was subsequently adopted by several other nations, was the use of a winch 'hauldown' landing method, referred to as a 'Beartrap'. This device considerably increased the ability of Sea Kings to land in difficult conditions, such as on small flight decks or during poor weather conditions. In addition to aircraft manufactured by Sikorsky, several license agreements were issued to other firms to produce the type, such as Mitsubishi in Japan and Agusta in Italy. Another licensee in the United Kingdom, Westland Helicopters, would substantially modify the Sea King, producing the Westland Sea King. Unlike US Navy Sea Kings, the Westland Sea King was intended for greater autonomous operation. In total, Westland produced 330 Sea Kings; beyond British operators, export customers of Westland's Sea King included the Indian Naval Air Arm, the German Navy, the Royal Australian Navy, and the Royal Norwegian Air Force. In the early 21st century, following their drawdown in US service, there have been a number of initiatives to refurbish ex-military Sea Kings for continued operations; in addition to civil operators, nations such as Egypt and India acquired refurbished former US Sea Kings to supplement their own aging fleets. While Sikorsky had ended production of the type during the 1970s, it was reported that nearly 600 Sea Kings were in operational service in 2009. The Sikorsky SH-3 Sea King is a twin-engine medium-sized amphibious rotorcraft. Many of the features on board the Sea King represented a considerable advancement over preceding helicopters. In addition to being fully amphibious and capable of operating under all weather conditions, it holds the distinction of being the first operational American helicopter to be able to simultaneously hunt and destroy submarines. Its twin-turboshaft powerplant layout gave the SH-3 a higher payload and greater reliability than previous anti-submarine helicopters. In the event of a single engine failing, the Sea King could continue flying on a single engine. The powerplant used on the Sea King was the General Electric T58-GE-8B, which was initially capable of generating up to 1,250 shp each. In normal operations, the Sea King typically would have a four-man crew on board; these being a pilot and copilot in the cockpit, and two aircrew stationed within the main cabin area. When conducting anti-submarine missions, the rear aircrew operated the aircraft's sensors and interpreted the generated data. For search-and-rescue missions, the Sea King's cabin could accommodate up to 22 survivors. In a medical layout, a maximum of nine stretchers plus two medical officers could be carried. In the troop transport role, up to 28 soldiers can be accommodated. The Sea King features many design elements to support naval-orientated operations. The main rotor blades and the tail section can be folded via fully automated systems for storage onboard ships. The adoption of an amphibious hull allowed a Sea King to conduct a water landing and, being completely watertight, would enable the rotorcraft to remaining floating for prolonged periods on the ocean's surface. Deployable airbags in the aircraft's sponsons added to the rotorcraft's stability and buoyancy, resisting pitching and rolling. The hull design was compatible with landing on challenging terrain, including ice, snow, swamp land, and tundra. Wheels are installed in the sponsons for land operations. The armament fitted upon a Sea King could vary considerably. For anti-submarine missions, the aircraft could carry up to four torpedoes or four depth charges. For anti-ship duties, some models were outfitted to carry one or two missiles, typically Sea Eagles or Exocets. The Sea King could also be fitted to deploy the B57 nuclear bomb. ASW equipment used on Sea Kings has included the AQS-13A/B/E dipping sonar which included specialized computers for processing sonar and sonobuoy data, various models of sonobuoys, ARR-75 Sonobuoy Receivers, and the ASQ-81 Magnetic Anomaly Detector. The commonly fitted AKT-22 data link enabled the rapid dissemination of sonar information to other friendly elements. Some later Sea King models featured the TACNAV digital navigation system and overhauled cockpit instrumentation for night vision compatibility. The Sea King became operational with the United States Navy in June 1961 as the HSS-2. When the unified aircraft designation system was introduced, the aircraft's designation changed to SH-3A. It was used primarily for anti-submarine warfare: detecting and tracking Soviet submarines; in the event of an outright military conflict, they would have been used to launch attacks upon them as well. Sea Kings could also operate from offshore platforms to extend their surveillance and strike range. Nighttime ASW operations were possible, albeit posing considerable difficulty for the flight crew. The Sea King also performed various other roles and missions such as search-and-rescue, transport, anti-shipping and airborne early warning operations. Aircraft carriers would typically deploy Sea Kings to operate near the carrier as a plane guard, ready to rescue air crew who crashed during takeoff or landing. They routinely transferred personnel and mail between vessels. The Sea King was exported in large numbers to Brazil, Italy, Japan and the United Kingdom. Several operators have kept their Sea Kings in use for more than 50 years. During the Vietnam War, SH-3s rescued the crews of downed aircraft at sea and over land, typically being equipped with self-sealing fuel tanks, multiple machine guns and heavy armor when performing such missions. Due to the type's greater range and the safety of having two engines, it was often used during rescue sorties into North Vietnam to retrieve downed aircrew. The Sea King was also used for medical evacuations and disaster relief efforts. The SH-3 was the primary helicopter for retrieving manned space capsules starting with Mercury-Atlas 7 in May 1962. Helicopter 66 was the primary recovery vehicle for Apollo missions 8 and 10 to 13. In February 1971, an SH-3A, operating from the amphibious assault ship USS New Orleans, recovered Apollo 14. A specialist search and rescue variant of the SH-3, the HH-3, also performed in this capacity. Several Sea Kings, operated by the United States Marine Corps's HMX-1 unit, are used as the official helicopters of the President of the United States; in this capacity, the call sign 'Marine One' is used by the helicopter currently occupied by the President. As of 2012, a replacement helicopter fleet for the Sea King is pending under the VXX program. In 1992, the US Justice Department sued Sikorsky over allegations of overcharged component pricing and deliberately misleading US Navy negotiators. In 1997, the Justice Department issued further accusations against Sikorsky of willful overcharging on a contract to upgrade the Navy's Sea Kings. During the 1990s, the Sea King was replaced in the ASW and SAR roles by the U.S. Navy with the newer Sikorsky SH-60 Sea Hawk. However, the SH-3 continued to operate in reserve units in roles including logistical support, search and rescue, and transport. On 27 January 2006, the SH-3 was ceremonially retired at NAS Norfolk, Virginia, by Helicopter Combat Support Squadron 2 (HC-2). They have been replaced by increasingly advanced variants of the SH-60 Sea Hawk. The only prototype of the H-3 Sea King. Pre-production S-61 aircraft, seven built for the U.S. Navy, re-designated YSH-3A in 1962. Anti-submarine warfare helicopter for the U.S. Navy; 245 built. Originally designated HSS-2. Combat search and rescue helicopter for the U.S. Navy. 12 converted from SH-3A. Military transport version for the U.S. Air Force; three converted from SH-3As into CH-3A configuration; they later became CH-3Bs. Experimental high-speed compound helicopter, with extensive streamlining, no floats, short wings carrying two turbojet engines for extra speed; one converted from SH-3A. Later modified with a tail rotor able to rotate 90° to serve as a pusher propeller; this helicopter demonstrated "Roto-Prop" pusher propeller for Sikorsky's S-66 design. Minesweeper helicopter for the U.S. Navy. Nine converted from SH-3A aircraft. VIP transport helicopter for the U.S. Army and Marine Corps; originally designated HSS-2Z. Eight built, plus two SH-3A conversions rebuilt from damaged helicopters (one YHSS-2 and one SH-3A). The rest were returned to the U.S. Navy in 1975–76 and replaced by the VH-3D. Military transport helicopter for the U.S. Air Force. Anti-submarine warfare helicopter for the U.S. Navy. 73 built and two conversions from SH-3As. VIP transport helicopter for the U.S. Marine Corps, 11 built. It entered service in 1976. Cargo, utility transport helicopter for the U.S. Navy. 105 conversions from SH-3A and SH-3D. Upgrade of the SH-3G as an anti-submarine warfare (ASW) helicopter for the U.S. Navy. It included SH-3G features with improvements for ASW, anti-ship missile detection and other airframe improvements. 163 SH-3A/D/Gs were upgraded to SH-3H configuration. Airborne early warning version for the Spanish navy. Cargo, utility transport version for the U.S. Navy; converted from SH-3H by removing ASW systems. Company designation for the Sea King. Export version for the Royal Danish Air Force. Wider pontoons without flotation bags, a 530-liter center tank instead of a dipping sonar and no automatic powered folding system. Military transport, search and rescue helicopter for the Royal Malaysian Air Force. It can seat up to 31 combat troops. 38 built. Utility helicopter for survey work and search and rescue in the Antarctic. Export version of the SH-3 anti-submarine warfare helicopter for the Japanese Maritime Self Defense Force. Export version for the Brazilian Navy. Export version for the Argentine Navy. Search and rescue version for the Argentine Air Force. Company designation for the VH-3A. One built for Indonesia. Civil versions of the Sea King. The S-61R served in the United States Air Force as the CH-3C/E Sea King and the HH-3E Jolly Green Giant, and with the United States Coast Guard and the Italian Air Force as the HH-3F Sea King (more commonly referred to by the nickname "Pelican"). Six CH-124Bs were upgraded to the CH-124B2 standard in 1991–1992. The revised CH-124B2 retained the sonobuoy processing gear to passively detect submarines but was also fitted with a towed-array sonar to supplement the ship's sonar. Since anti-submarine warfare is no longer a major priority within the Canadian Forces, the CH-124B2 were refitted again to become improvised troop carriers for the newly formed Standing Contingency Task Force. Unofficial designation for four CH-124s that were modified for passenger/freight transport. One crashed in 1973, and the survivors were later refitted to become CH-124A's. The Westland Sea King variant was manufactured under license by Westland Helicopters Ltd in the United Kingdom, who developed a specially modified version for the Royal Navy. It is powered by a pair of Rolls-Royce Gnome turbines (license-built T58s), and has British avionics and ASW equipment. This variant first flew in 1969, and entered service the next year. It is also used by the Royal Air Force in a search and rescue capacity, and has been sold to many countries around the world. Company designation for the H-3 Sea King built under license in Italy by Agusta. Italian export model for the Royal Malaysian Air Force. Military transport, search and rescue helicopter. License built model of the S-61N, with a shortened cabin. Anti-submarine warfare helicopter. Flown by the Italian, Brazilian, Iranian, Peruvian and Argentinian navies. VIP, executive transport mission helicopter. Also known as the ASH-3D/TS, the Italian Air Force operated 2 from 1975 until 2012. License-built version of the S-61A as Search-and-Rescue and Utility helicopters for the Japan Maritime Self Defense Force. 18 built. License-built version of the S-61B as an anti-submarine warfare helicopter for the Japan Maritime Self Defense Force. 55 built. License-built version of the S-61B(SH-3D) as an anti-submarine warfare helicopter for the Japan Maritime Self Defense Force. 28 built. A Spanish Navy SH-3H Sea King in 2009. LASD's Rescue 5, flies offshore near Rancho Palos Verdes. 0675 – S-61D-4 on static display at the Argentine Naval Aviation Museum in Bahia Blanca, Buenos Aires. U-240 – S-61A on static display at the Danmarks Flymuseum in Skjern, Central Denmark. An SH-3 Sea King on display at the Patuxent River Naval Air Museum. 147140 – HH-3A on static display at the Pacific Missile Range Facility in Kekaha, Hawaii. 148038 – SH-3A on static display at the Patuxent River Naval Air Museum in Lexington Park, Maryland. 148042 – UH-3H on static display at Naval Station Norfolk in Norfolk, Virginia. 148999 – SH-3H on static display at the USS Hornet Museum in Alameda, California. 149006 – UH-3H on static display at the Evergreen Aviation & Space Museum in McMinnville, Oregon. It is painted as Apollo 11 recovery helicopter. 149695 – SH-3G on static display at Naval Air Station Jacksonville in Jacksonville, Florida. 149711 – SH-3H on static display at the USS Midway Museum in San Diego, California. 149738 – SH-3H in storage at the Quonset Air Museum in North Kingston, Rhode Island. 149932 – SH-3G on static display at the Patriots Point in Charleston, South Carolina. 150611 – VH-3A on static display at the Ronald Reagan Presidential Library in Simi Valley, California. 150613 – VH-3A on static display at the National Naval Aviation Museum in Pensacola, Florida. 150617 – VH-3A on static display at the Richard Nixon Presidential Library and Museum in Yorba Linda, California. 156484 – SH-3D on static display at the National Naval Aviation Museum in Pensacola, Florida. Unknown BuNo – SH-3 on static display at the Hickory Aviation Museum in Hickory, North Carolina. Data from Omnifarious Sea King, U.S. Navy Fact File. ^ a b "H-3 Sea King helicopter." U.S. Navy Fact File, Retrieved: 17 April 2012. ^ Leoni 2007, p. 251. ^ Fieldhouse and Taoka 1989, pp. 70–71, 74. ^ a b c Mutza 2010, p. 106. ^ a b c d e f g h i j k Chant 1988, p. 464. ^ a b c d e f g h "HSS-2." Flight International, 15 May 1959. p. 696. ^ a b c Jackson 2005, p. 207. ^ a b c d Mutza 2010, p. 107. ^ "HSS-2 Completes Carrier Trials." Naval Aviation News, July 1961, pp. 22–23. ^ Frawley 2003, p. 194. ^ "USN HSS-2's 200 m.p.h." Flight International, 15 February 1962. p. 233. ^ Apostolo, G. "Sikorsky S-61".The Illustrated Encyclopedia of Helicopters. Bonanza Books, 1984. ISBN 0-517-43935-2. ^ "The Self-Supporting Helicopter" Time Magazine. 26 December 1960. ^ Apostolo, Giorgio. "Sikorsky S-61R". The Illustrated Encyclopedia of Helicopters. New York: Bonanza Books. 1984. ISBN 978-0-517-43935-7. ^ Williamson 2000, pp. 149, 167. ^ Uttley 2001, p. 206. ^ McGowen 2005, p. 119. ^ Thorn and Frawley 1998, p. 164. ^ Lake 1996, pp. 114–115. ^ McGowen 2005, pp. 120, 126. ^ "India Buys Six U.S. Navy Sea Kings." Sea Power, 1 February 2007. ^ "Last U.S. Navy Sea King Helicopter Delivered." Navy News, 21 November 2005. 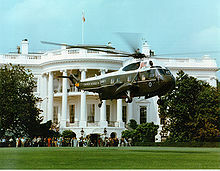 ^ "Former Presidential helicopter redelivered to the Egyptian Government." NavAir News, 17 June 2009. ^ Baruzzi, Cara. "Flight Plan: At 50, Sikorsky’s Sea King gets an upgrade." New Haven Register, 6 September 2009. ^ Bishop and Chant 2004, p. 208. ^ Williamson 2000, p. 169. ^ "HSS-2." Flight International, 15 May 1959. p. 697. ^ Byers 1986, p. 232. ^ Fieldhouse and Taoka 1989, pp. 72–73. ^ Biass 1985, p. 543. ^ Chesneau 1985, pp. 2–3, 5. ^ Blair 2004, p. 42. ^ a b c d Dorsey, Jack. "Navy bids farewell to Sea King helicopter." Pilot Online, 28 January 2006. ^ S.R. Arends, Harrington, J.H., Karlsson, C.R., Pellerin, A. E., and Staley, M. "Military Use of Offshore Platforms." Naval War College Newport, 9 April 1979. ADA075840. ^ Bishop and Chant 2004, p. 91. ^ Chant 1988, pp. 182–183. ^ Tutton, Michael. "Gritty Sea King helicopters still flying after 50 years of service." Globe and Mail, 31 July 2013. ^ "BBC 2 programme Sea King: Britain's flying past 28 February 2013." Fleet Air Arm Officers Association 18 February 2013. ^ Marolda 1996, pp. 70–80. ^ Blair 2004, p. 87. ^ Day, Dwayne (25 June 2007). "The last flight of Helo 66". Space Review. Retrieved 3 November 2017. ^ "Apollo 14 crewmen step aboard U.S.S. New Orleans after splashdown." NASA Images, Retrieved: 17 April 2012. ^ Trimble, Stephen. "Boeing says AW101 one of its three options for VXX." FlightGlobal.com, 8 June 2010. Retrieved: 10 June 2010. ^ Cavas, Christopher P. "Former Competitors Join Forces for Helo Program." Archived 29 July 2012 at Archive.today Defense News, 19 April 2010. ^ "Sikorsky sued over alleged Sea King overcharges." Defense Daily, 1 July 1992. ^ Pazniokas, Mark. "Testimony Begins In Sikorsky Trial." Hartford Courant, 17 July 1997. ^ Blair 2004, p. 44. ^ "U.S. Navy Retires Sea Kings." Rotor & Wing, 15 March 2006. ^ a b c Eden 2004, p. 410. ^ a b c Donald 1997, p. 843. ^ Eden 2004, p. 413. ^ Leoni 2007, pp. 26–28. ^ a b c Eden 2004, p. 411. ^ United States, 1974, p. A-40; 1998, p. A-43; 2004, p. 43. ^ a b c d e f Durning, Michael. "CH-124 Sea King Variants." Canadian American Strategic Review (web archive). Retrieved: 18 April 2012. ^ a b c d e Chant 1988, p. 356. ^ "Agusta Sikorsky SH-3D/TS". aeronautica.difesa.it. 2014. Retrieved 4 December 2014. ^ a b c d e f g h i "World Air Forces 2018". Flightglobal Insight. 2018. Retrieved 7 September 2018. ^ a b "Marine Helicopter Squadron-1 (HMX-1) Nighthawks". globalsecurity.org. Retrieved 23 March 2013. ^ "Royal Canadian Navy (1945–1968)". Retrieved 23 March 2013. ^ "Flyvevåbnet H-3". Retrieved 23 March 2013. ^ "Danish Defence Website: Helicopters retired after 45 years (Article in Danish)". Retrieved 8 June 2010. ^ "DR Broadcaster: Helicopters retired (Article in Danish)". Retrieved 16 June 2010. ^ "World's Air Forces 1987 pg. 65". flightglobal.com. Retrieved 23 March 2013. ^ "JMSDF S-61". Retrieved 23 March 2013. ^ "海上自衛隊航空機". Retrieved 9 March 2018. ^ "World's Air Forces 1987 pg. 81". flightglobal.com. Retrieved 23 March 2013. ^ "3 Super Puma Helicopters Acquired For Sheriff's Department Air Rescue". ©2012 CBS Local Media. Retrieved 29 November 2012. ^ "LA County Sheriff Takes Delivery of First Modified Super Puma". Los Angeles Times. L.A. Times. September 2012. p. C5. ^ "US Navy SH-3". globalsecurity.org. Retrieved 23 March 2013. ^ "Sea King" (in Spanish). Museo de la Aviación Naval Armada Argentina. Archived from the original on 1 April 2010. Retrieved 30 May 2017. ^ "Descanso del Rey del Mar" (in Spanish). Museo de la Aviación Naval Armada Argentina. Archived from the original on 7 March 2010. Retrieved 30 May 2017. ^ "Airframe Dossier – SikorskyS-61 / H-3 / Sea King, s/n 0675 ARA, c/n 61-495". Aerial Visuals. Retrieved 30 May 2017. ^ "Sikorsky S-61A Sea King" (in Danish). Danmarks Flymuseum. Retrieved 30 May 2017. ^ "Airframe Dossier – SikorskyS-61 / H-3 / Sea King, s/n 147140 USN". Aerial Visuals. Retrieved 30 May 2017. ^ "Its reign in the fleet over, naval Sea King helicopter now rests at Pax Museum". Naval Air Systems Command. 29 May 2015. Retrieved 30 May 2017. ^ "Airframe Dossier – SikorskyS-61 / H-3 / Sea King, s/n 148042 USN". Aerial Visuals. Retrieved 30 May 2017. ^ "SH-3H SeaKing". USS Hornet Sea, Air & Space Museum. Archived from the original on 24 June 2016. Retrieved 30 May 2017. ^ "Airframe Dossier – SikorskyS-61 / H-3 / Sea King, s/n 148999 USN, c/n 61-073". Aerial Visuals. Retrieved 30 May 2017. ^ "Helicopters". Evergreen Aviation & Space Museum. Retrieved 30 May 2017. ^ "Airframe Dossier – SikorskyS-61 / H-3 / Sea King, s/n 149006 USN". Aerial Visuals. Retrieved 30 May 2017. ^ "Aircraft Heritage Park". CNIC. Retrieved 30 May 2017. ^ "Airframe Dossier – Sikorsky SH-3G Sea King, s/n 149695 USN". Aerial Visuals. Retrieved 30 May 2017. ^ "Aircraft Data Sheet". Midway's Aircraft. 19 December 2007. Archived from the original on 6 February 2016. Retrieved 30 May 2017. ^ "Airframe Dossier – Sikorsky SH-3H Sea King, s/n 149711 USN". Aerial Visuals. Retrieved 30 May 2017. ^ "Exhibitions". The Quonset Air Museum. Archived from the original on 26 October 2016. Retrieved 30 May 2017. ^ "Airframe Dossier – SikorskyS-61 / H-3 / Sea King, s/n 149738 USN". Aerial Visuals. AerialVisuals.ca. Retrieved 30 May 2017. ^ "SH-3G SEA KING" (PDF). Patriots Point. Patriots Point. Retrieved 30 May 2017. ^ "AIR FORCE ONE". The Ronald Reagan Presidential Foundation and Institute. Retrieved 30 May 2017. ^ "Airframe Dossier – SikorskyS-61 / H-3 / Sea King, s/n 150611 USN". Aerial Visuals. Retrieved 30 May 2017. ^ "VH-3 MARINE ONE". National Naval Aviation Museum. Retrieved 30 May 2017. ^ "The Helicopter". Richard Nixon Presidential Library and Museum. Retrieved 30 May 2017. ^ "Airframe Dossier – SikorskyS-61 / H-3 / Sea King, s/n 150617 USN, c/n 61-123". Aerial Visuals. Retrieved 30 May 2017. ^ "SH-3A SEA KING". National Naval Aviation Museum. Retrieved 30 May 2017. ^ Jackson, Mark (21 June 2017). "Hickory Aviation Museum to unveil SH-3 Sea King Helicopter". Caldwell Journal. Retrieved 29 June 2017. ^ Air International May 1981, p. 218. Biass, Eric H. World Helicopter Systems. Geneva, Switzerland: Interavia Data, 1985. Bishop, Chris and Chris Chant. Aircraft Carriers. Minneapolis, Minnesota: Zenith Imprint, 2004. ISBN 0-7603-2005-5. Blair, Don. Splashdown! Nasa and the Navy. Nashville, Tennessee: Turner Publishing, 2004. ISBN 1-56311-985-4. Byers, R.B. The Denuclearisation of the Oceans. London: Taylor & Francis, 1986. ISBN 0-7099-3936-1. Chant, Christopher. A Compendium of Armaments and Military Hardware. London: Routledge, 1988. ISBN 0-7102-0720-4. Chesneau, Roger. Aeroguide 10: Westland Sea King HAR Mk 3. Essex, UK: Linewrights, 1985. ISBN 0-946958-09-2. DOD 4120.15-L Model Designation of Military Aircraft, Rockets, and Guided Missiles. Washington, D.C.: Department of Defense, 1974. DOD 4120.15-L Model Designation of Military Aircraft, Rockets, and Guided Missiles. Washington, D.C.: Department of Defense, 1998. DOD 4120.15-L Model Designation of Military Aircraft, Rockets, and Guided Missiles. Washington, D.C.: Department of Defense, 2004. Fieldhouse, Richard and Taoka Shunji. Superpowers at Sea: An Assessment of the Naval Arms Race. Oxford, UK: Oxford University Press, 1989. ISBN 0-19829-135-3. Frawley, Gerard. The International Directory of Civil Aircraft, 2003–2004. Fyshwick, Australian Capital Territory: Aerospace Publications Pty Ltd, 2003. ISBN 1-875671-58-7. Jackson, Robert, ed. "Sikorsky S-61/SH-3 Sea King." Helicopters: Military, Civilian, and Rescue Rotorcraft (The Aviation Factfile). London: Grange Books Ltd, 2005. ISBN 1-84013-812-2. Lake, Jon. "Westland Sea King: Variant Briefing". World Air Power Journal, Volume 25, Summer 1996, pp. 110–135. London: Aerospace Publishing. ISBN 978-1-874023-79-1. ISSN 0959-7050. Leoni, Ron D. Black Hawk: The Story of a World Class Helicopter. Reston, Virginia: American Institute of Aeronautics and Astronautics, 2007. ISBN 1-56347-918-4. Marolda, Edward J. By Sea, Air, and Land: An Illustrated History of the U. S. Navy and the War in Southeast Asia. Darby, Pennsylvania: DIANE Publishing, 1996. ISBN 0-7881-3250-4. Mutza, Wayne. Helicopter Gunships: Deadly Combat Weapon Systems. Specialty Press, 2010. ISBN 1-5800-7154-6. Uttley, Matthew. Westland and the British Helicopter Industry, 1945–1960: Licensed Production versus Indigenous Innovation. London: Routledge, 2001. ISBN 0-7146-5194-X. Williamson, Ronald M. Naval Air Station Jacksonville, Florida, 1940–2000: An Illustrated History. Nashville, Tennessee: Turner Publishing, 2000. ISBN 1-5631-1730-4. Núñez Padin, Jorge Felix (2014). Núñez Padin, Jorge Felix (ed.). Sikorsky S-61D.4 & UH-3H Sea King. Serie Aeronaval (in Spanish). 32. Bahía Blanca, Argentina: Fuerzas Aeronavales. Archived from the original on 3 April 2015. Retrieved 25 August 2014. Wikimedia Commons has media related to H-3 Sea King. This page was last edited on 1 April 2019, at 08:09 (UTC).